We have been working on a collaborative study with Keio University and ROHTO Pharmaceutical Co., Ltd. on the possible prevention of myopia progression. This study was published on the Jan 22, 2019 online issue of Scientific Reports. It is suggested that the molecule called, crocetin, may play a role to suppress myopia progression. 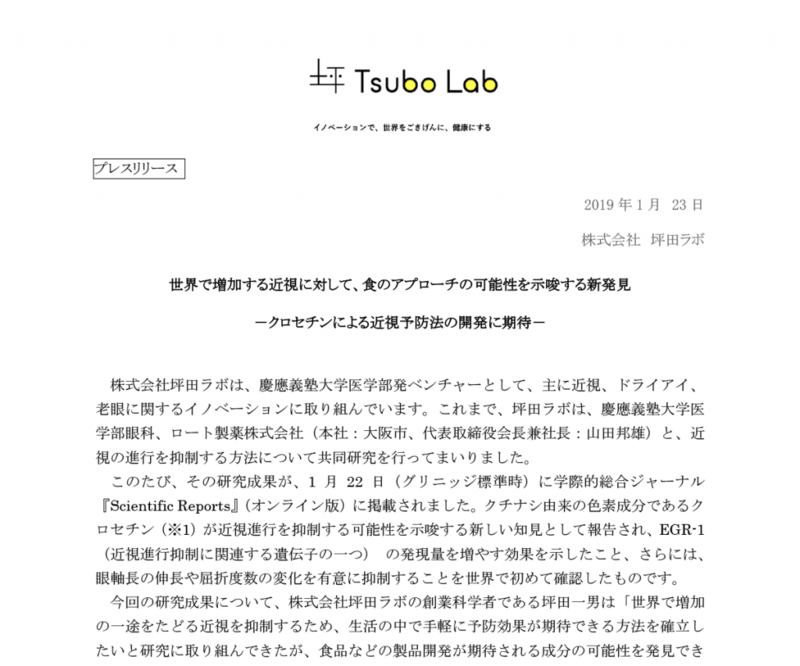 Press release in Japanese.